The Celebrant's role - the process, the preparation. Plan your own Funeral? How confronting! But it is like this. There is one definite way in which you can be assured that the wishes you have for your funeral ceremony are clear. Many of our clients now wish to plan their own funeral ceremony - or at least state their wishes, memories and opinions. In the hands of a trained facilitator, or an experienced Funeral Celebrant, our text book, Funeral Ceremony Planning, is a very helpful tool in assisting you plan your funeral ceremony, leaving you to forget about it and get on with living a long and glorious life. This service was pioneered by funeral celebrant Kathleen Mary Hurley. Have you ever been to the funeral of a family member or dear friend and felt sad afterwards that the ceremony did not do justice to them? Did it prompt you to think about how you would like your life to be celebrated? We don’t always remember that our funeral is the place in which our family says goodbye to us in a public way, thus easing their transition to life without us. Your planned ceremony may be the greatest gift you can give them at a time when they need it the most. It may never seem to be a good time to talk about death or dying, but sometimes these thoughts are forced on us, particularly if we become involved with a death in our family. This is a traumatic event for the family and a qualified Funeral Celebrant can bring understanding and empathy to your family, providing a clear standard of service which guarantees you a focus on the loved one, ensuring the service is about their life, their achievements, relationships, joys and tribulations. This focus can bring considerable consolation to your family and assist greatly with the grieving process. Plan your own Funeral? How confronting! But it is like this. If you don't, someone else will. The someone else may, in their ignorance, humiliate your memory and cause grief to your friends and the non-participating members of your family. And you may think that your next-of-kin and your executor may know what you want, and how you would like your funeral handled, but they frequently don't. This stuff may be hard to face, so why not get a facilitator? Someone who will sit down with you and fill out all the questions in the booklet. This person will make sure you place copies in the right places and with the right people. We are not talking here of the "Funeral Plans" organised by the Funeral Directors. My experience is that it is the ceremony, what words are said, who says them, and how they say it, is what really matters to people. This cannot be done well by any short cut. You should put money aside for a conscientious competent celebrant, arrange they be paid an hourly rate, and make sure the job is done properly. There is no such thing as a short cut to a good funeral. 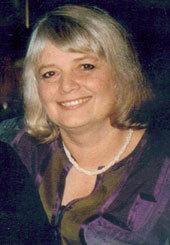 Whether it is your own funeral or someone else's you should arrange the celebrant first. 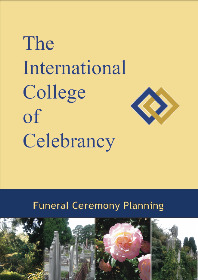 The ceremony is the job of the celebrant, the Funeral Director does other important things but not the ceremony. We are talking about a proper tribute which does not heap an indignity on your memory. Do you want a religious or non-religious funeral or a mixture of both? How do you see your own life and the kinds of things you want said in your eulogy (or write your own). What do you consider your main achievements, what were the issues you believed in and perhaps fought for? What sort of music do you want? What poetry and prose do you like? Do you want to be buried or cremated? If you are to be cremated, what is to be done with your ashes? Stating all these things clearly will save your family a lot of confusion and pain. Planning your funeral is a bit like writing a will. You do not die any quicker, you just do not bequeath a scene of chaos when you die. It also brings a kind of inner peace, when you know that these matters have been "tidied up". This Funeral Planning Booklet is best filled in with a Facilitator (we recommend one of our own qualified Funerals Celebrants). The facilitator should ensure that you finish it, copy it, or inform all those close to you where to find it. It is a time consuming process and the writer charges a fee of $500 (very reasonable!) either in the USA, New Zealand or Australia or 250 pounds in the UK. Each celebrant must, of course, charge their own fee.